User-friendly navigation, accurate map data and excellent route guidance – the Garmin® MAP PILOT system brings all the benefits of a Garmin® navigation system to the Audio 20 CD. All you need to do is insert an SD card featuring the navigation software and map data.The maps have a Garmin® look and feel and appear in high resolution and in colour on the multimedia system's large display, with additional navigation information in the instrument cluster. 3D views with precise depiction of streets and buildings help orientation and photorealistic views of upcoming junctions guide you to the right lane at the right time. The user can operate the intuitive system via the Controller. The navigation system can also be operated via voice control. 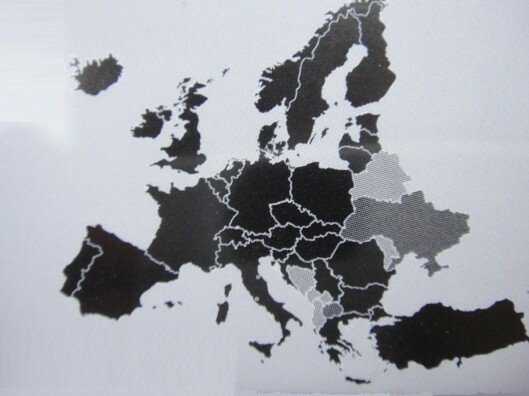 Andorra, Austria, Belgium, Bulgaria, Croatia, the Czech Republic, Denmark, Estonia, Finland, France, Germany, Gibraltar, Greece, Hungary, Iceland, Ireland, Italy, Kazakhstan, Latvia, Liechtenstein, Lithuania, Luxembourg, Macedonia, Malta,Monaco,the Netherlands, Norway, Poland, Portugal (including Madeira and the Azores), Romania, Russia (including Kaliningrad Oblast), San Marino, Serbia, Slovakia, Slovenia, Spain (including the Canary Islands), Sweden, Switzerland, Turkey, Ukraine, the United Kingdom (England, Wales, Scotland, Northern Ireland) plus the Channel Islands and the Isle of Man, Vatican City. Do these cards only work for Audio 20 systems? What card do I need for a Dec 2016 GLC, 250? Thanks! Does this system identify and display the speed limits as previous sat nav systems did? Hi that is a built in part of your cars system so if it did it before then yes it will still display them. Hi yes this is the correct card for your car. Hi yes this is the correct card for that car. I have a 66plate C200 (WDD205.....), is this card compatible and how do you periodically update card? Hi here is a link to the correct card for your car. 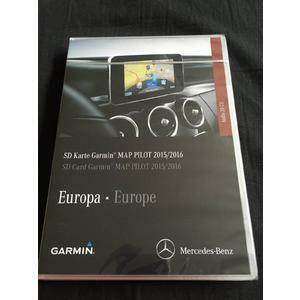 http://www.world-of-accessories.co.uk/mercedesbenz-card-garmin-pilot-20172018-a2139069905-p-1727.html Yes you can update it but these are the very lattest maps so there is no need to do so for at least 12 months. I have a 2015 C220 Sport - is this compatible? Hi folks leasing a mercedes gla amg 2018 will this card give me sat nav. How easy is it to install. Hi yes this is the correct card and you just put it into the slot for it to work. Hi. We have just collected a 2016 66 plate AClass A180D Sport. Can you tell me please if this card is compatible? Many thanks for your help. 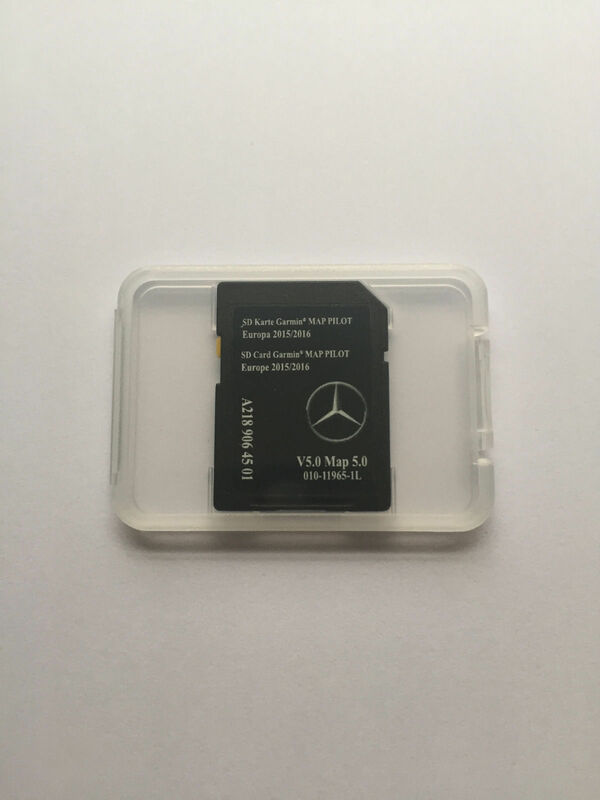 Hi, we have a 2017 A Class 180 AMG Line - can you advise if this SD card will be suitable? Also if any other vehicle options are required for this to work - I believe the car has the 'Audio 20' 7" head unit/screen. I understand these cards lock themselves to the car - can you confirm your stock is all new and genuine and English version etc. Thanks in advance many thanks in advance. Hi yes this is the correct card, it is new and English version. I have a Mercedes gla sport d 2016 is this the right card please? I have a Mercedes c220 bluetec saloon 2014. Is this the right card? 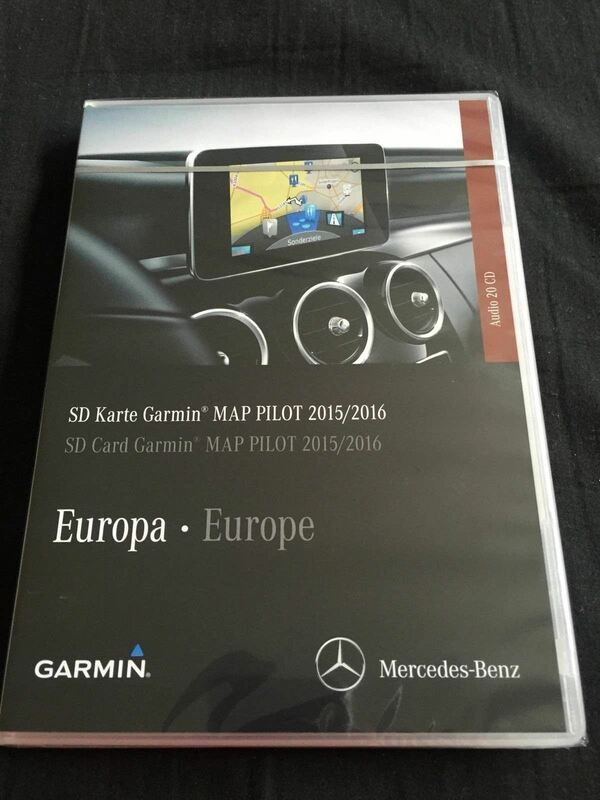 Hi just bought a 2017 gla 220d amg 4matic .I was wondering if the Garmin Map Pilot A2189060003 is compatab with my car. Hi yes I can confirm this is the correct card for your car. Hi sorry we only sell the new cards with the latest maps on them. We do not offer updates. Hi which class is that ? i.e. C Class E class etc ? 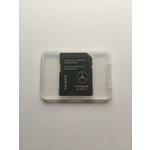 Hi, would this SD card be suitable for a brand new car - March 2018 A class Hatchback A220d AMG Line? Also will it be easy to set up once inserted into the SD slot in the car - meaning, will it be easily recognised by the car? Hi yes this is the correct card for your car and you only need to insert the card into the slot (nothing else) for it to work. Hi what class and year is the car ? hi - is this the correct card for reg DE16UVU? many thanks! Hi which class car is it ? Hi yes this is the correct acrd for that car. Hi sorry for the delay. 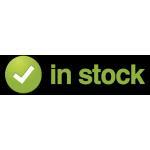 Yes this is the correct card and you have 1 months guarantee with 30 days money back on everything we sell. Hi yes this is the correct card for you car. looking for an sd card to update my 2013 model c class comand system could you assist please? Hi does your car have a slot for a SD card in it or a bracket in the glove box ? Hi yes this is the correct card and yes you have 30 days in which to return it for a full refund. Hi yes this is the correct card for your car to activate the SatNav system. I have 2016 SLC, with no prior satnav installation. Will this be compatible with my car? My dealer said that this item is an upgrage not the full satnav, is this so? Hi yes this is the correct card for your car. It is a full system card not a upgrade. Hello I have CLA 180 Shooting Brake from 04 / 2016 without GPS system. Using this SD card it will able to use GPS? Hi if your car has a Nav button and a slot for the card then yes you need this card to make the SatNav work. Hi, I am getting a new 2017 GLA Auto Sport with Audio 20 CD including preinstallation for GarminÂ® MAP PILOT. Would this SD card work with the car? Hi yes this is the correct card. I have a Mercedes Vito Tourer, 66 plate. There is an SD card slot above the entertainment control centre. When I press the 'NAVI' button, the message that comes up on the screen says, 'No navigation'. Can I insert an SD card to give me SatNav? Thanks. Hi I suggest you contact Mercedes and ask them for the part number as we dont list the Vito and we can give you a price for the card. Will this work in a 2016 Mercedes GLA 200 d AMG Line? Will this work with my Mercedes Benz C200 SE Saloon 2016? Hi yes it fits your car. The card only holds Maps. Things like traffic updates etc are (if available) built into your car and you need to read the Manual and set them up on your Command/SatNav. Hi yes this is the correct card and you can send it back for up to 30 days for a full refund. Hi you can use the maps for ever or just update them when ever you feel necessary. Hi, we have a 2017 SLC and have been given a different part number to the one on here, will this SD card work with our car? Hi yes this is the correct card for the 2017 SLC. Hi, is this product also suitable for SLC model with Audio20? New car arrives next week CLA200 Sport. To make the sat nav work do I only need the SD card of is there an additional navigation unit required? spec for the new model states pre-wired for Garmin navigation and comes with SD Card slot. Hi it depends on the car I would see if you need the SD card first. Hi as far as Im aware you have to use the becker unit. will it work in a c200amg 2012 model. got the command 20 but when I scroll to the navigation button it says no navigation system is connected. Hi I think you need the Becker unit. Does the car have a bracket in the glove box as shown on this page :- http://www.world-of-accessories.co.uk/becker-pilot-mercedes-cars-p-1680.html if it does the you need the Becker Unit. We have a new GLA today. If we purchase an SD route car. How do we update it ? Do we have to keep purchasing new cards ? Hi you can update it online via your PC you do not need to buy a new card. Will it work with a Mercedes A Class 180 petrol Sport, 16 plate (02/03/16)? Hi yes if you have the slot for the card. Hi it maybe but I suggest you wait until it arrives to see what system it has and what is needed. Hi sorry no I dont think your car takes this memory card it should have a CD rom for the SatNav. will this sad card work in a 2015 SLK ? Hi my advice would be to ask Mercedes for the correct part number for your car as it is unclear which one you need. Hi what model and year car do you have ? Hi what year is your car ? Please can you confirm that this is an English Language version with text, instructions and speech in English. Hi yes it is English Language version with text, instructions and speech in English.